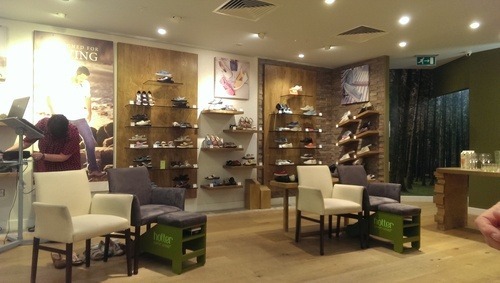 Last week I attended an event at the Hotter Shoes store in Glasgow’s Buchanan Galleries. 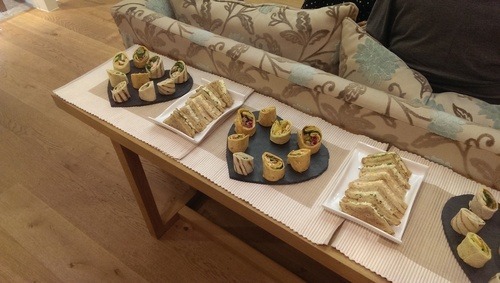 It was really interesting to hear all about the company, and how they design their shoes. I was surprised to learn that this was a completely British company, championing British manufacturing and design. With so much of fashion produced abroad, I will definitely be supporting Hotter Shoes more in the future. They produce a pair of shoes every 20 seconds in their North of England factory, and have 65 stores throughout the UK. 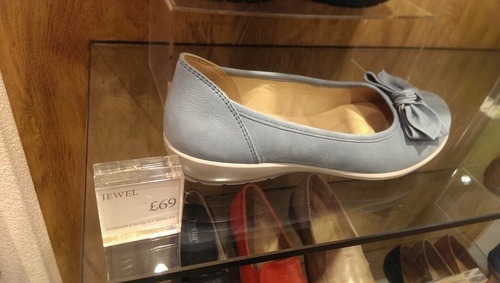 They also sell large amounts of shoes to customers in the USA, who appreciate their unique ‘Comfort Concept’. All the shoes are designed with comfort in mind, and whilst they still produce shoes that are trend-led (and classic), there are always hidden ‘Comfort Concept’ elements inside- such as soles that bend, hidden cushioning and hidden elastic behind buckles. 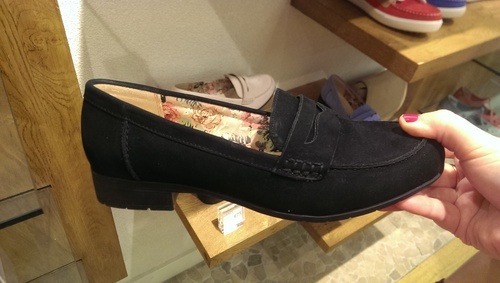 My first experience of a pair of Hotter Shoes is with my new pair of their Sorbet loafers (£75) in black. These high-quality, sturdy and comfortable shoes are worth every penny. They have such a smart classic look, and I can wear them comfortably all day running about between meetings, photo shoots and shopping! Remember when you used to get your school shoes fitted properly at Clarks?- well, this is the level of attention to fitting detail you will experience at Hotter Shoes. 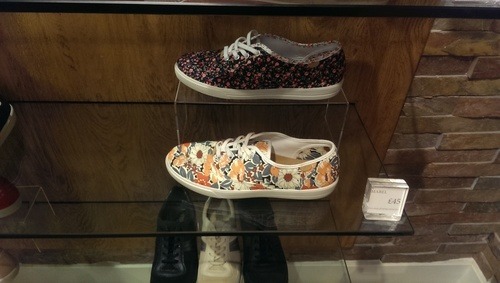 I have my eye on my next Hotter Shoes purchases already- I love the floral Mabel canvas lace-ups (£45) and the Jewel leather bow flats (£69).